Balblair Vintage 2005, aged in Bourbon casks, is an elegant Single Malt with fruity and vanilla flavours. Balblair 2005 is the most recent vintage of the distillery. Its aging in American oak casks, which have been previously used for Bourbon whiskey, imparts flavours of fruit and vanilla. 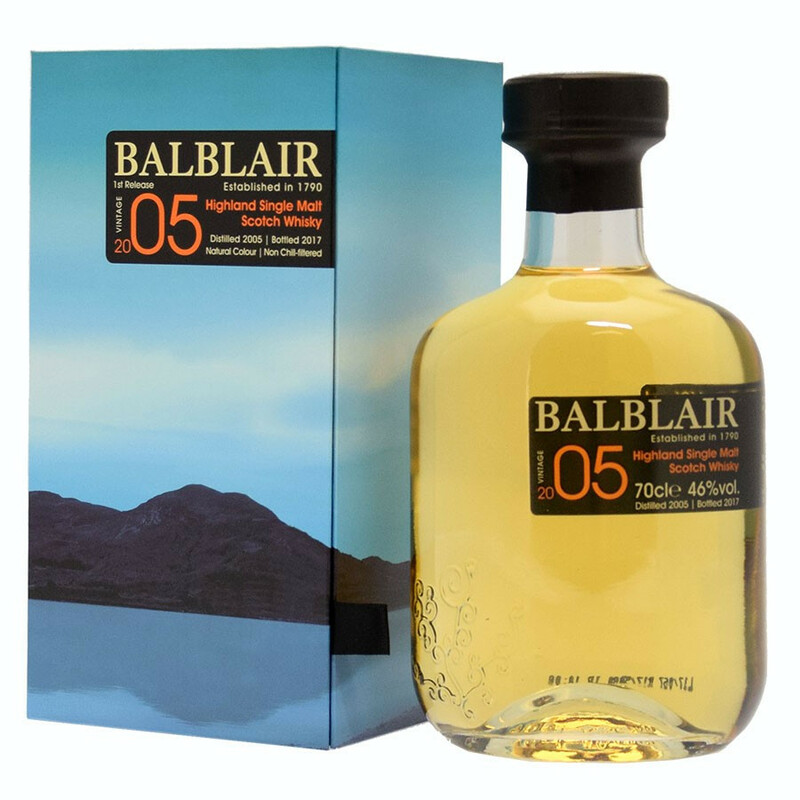 A fruity and gourmet Single Malt which shows once again all the elegance, intensity and balance typical of the Balblair distillery. Nose: green apples, spices, orange peel, white flowers and vanilla notes. Palate: fruity and gourmet. Citrus, toffee, vanilla,ripe fruits. Finish: long and elegant.Slight spicy notes.